We’re giving away brilliant prizes for the best group photos and group videos of your Street Feasts across the country. Last year we gave away The Happy Pear Cookbooks and they went down a treat! With 1,282 feasts taking place nationwide, we’re hoping to see a beautiful array of everyone’s feasts, and we have even more prizes to give away! We have two competitions; group photos & group videos. 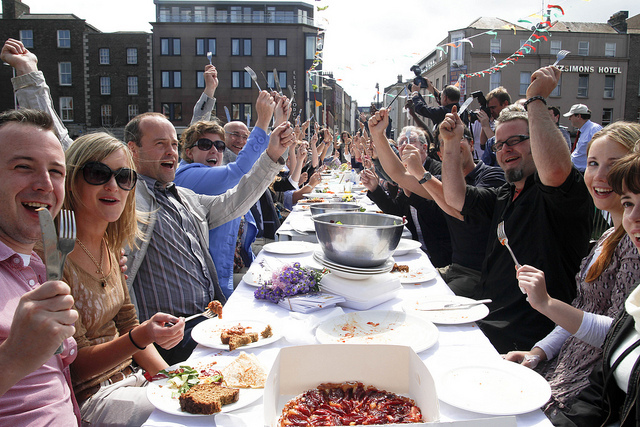 This year, to be in with a chance of winning, you must email us your group photos to photos@streetfeast.ie . If you tag us at #streetfeast2017 we’ll feature your feasts on our live-feed on the day, and show a county-by-county line-up in the week after. (See last year’s live feed) But to be in the competition, you do need to send your photos to photos@streetfeast.ie by Friday 16th June. Group Video – even more fun! We’re also trying something new. We want you to take a VERY short video (6-8 secs) of your feast with your camera-phone. But this ain’t any ‘ol movie. 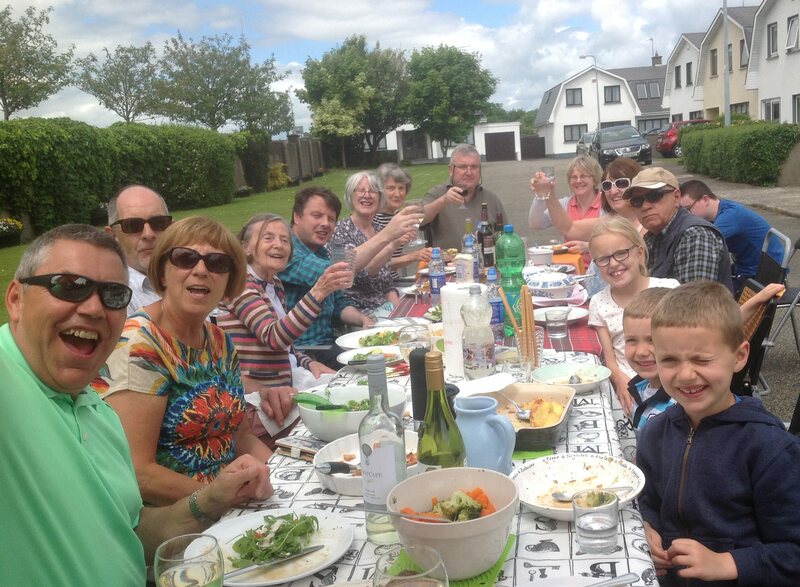 We want a shot of you around the table, calling out the name of your street, estate or village (whichever sounds best!) We know this sounds kind of crazy, but it’ll be a lot of fun, and we assure you the results will be wonderful! What’s more, send us this video, and you are twice as likely to win a prize! Start recording the video; then call out the name of your street, estate or village. Top tip! If you can do this as a selfie, we’ll be even more impressed. Ha!